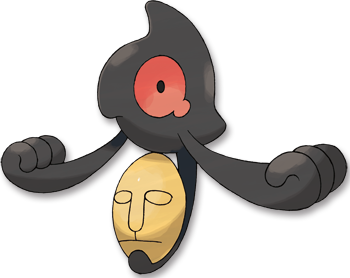 Mummy Whenever a contact move hits this Pok�mon, the attacking Pok�mon's ability changes to mummify. Black Each of them carries a mask that used to be its face when it was human. Sometimes they look at it and cry. White These Pok�mon arose from the spirits of people interred in graves in past ages. Each retains memories of its former life.